The advancment of technology in all spheres of lives and the abundance of IOT devices are growing rapidly. User data and information have become a key factor in all major businesses. The need for securing these data has sky-rocketed in the last couple of years. 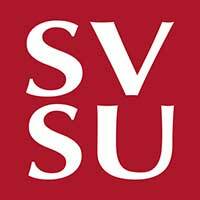 At SVSU, the intensive labs and lectures will allow you practice your knowledge and prepare you for a cybersecurity related career. You will receive the foundation of how to detect breaches in computer security as well as identify computers that have been used in illicit or illegal activities. The coursework includes both technical cybersecurity classes looking at computer forensics as well as criminal justice course that covers issues such as chain of custody and proper evidence handling. Apply Today.